Pour one out, as the kids haven't said in years, for one of Reston's longstanding institutions, which, we learned this week, will soon be no more. You see, the "hut" of the fabled McTacoHut carbohydrate-industrial complex on Wiehle Avenue, is falling -- not to redevelopment, not to unbuilt roads we can't stop development waiting for, but to (shudder) changing gustatorial tastes. Pupatella, which started as a food truck, does has Reston roots -- founding partner Michael Berger is from Reston. But how far we've fallen to when the signless, DRB-mandated drab Pizza Hut was a retail powerhouse. Lest we forget how central McTacoHut has been to the Reston experience, note its prominent presence in the most significant cultural product to come from our plastic fantastic planned community (albeit in the "Taco" segment of McTacoHut). And when a snarky DC writer, baseball cap undoubtedly turned at a jaunty angle, was parachuted (or perhaps Ubered) into Reston to see what wonders lay amongst the undiscovered wilds at the end of the Silver Line, he found himself there. We wish Pupatella well, but we haven't been this sad since another august Reston institution closed. It's yet another cultural landmark taken away too soon. And besides, McTacoPupa just doesn't have the same ring, the end. The deadline has been extended from April 1 to April 3, but fear not: the delay won't result in us being kept in suspense any longer on the results of the uncontested elections. They'll still be announced on April 9, so three cheers for democracy apathy! In case you're wondering who to vote for, the five people running unopposed include three incumbents, Catherine Baum (apartments), Caren Anton (Hunters Woods/Dogwood), and John Mooney (North Point). The two newcomers, also running unopposed, are Tom Mulkerin (at-large) and Aaron Webb (Lake Anne/Tall Oaks). You can listen to their official statements above or watch video of the 90-minute candidates' forum here, but you know... unopposed. We have nothing bad to say about any of the candidates -- if anything we should be grateful anyone is willing to step up and run for what we've long said is a thankless job. But just last year, we had 13 candidates running for four open seats, complete with wacky alliances and "slates" that sounded more like a bad episode of Survivor than our own community. So wha'happened? 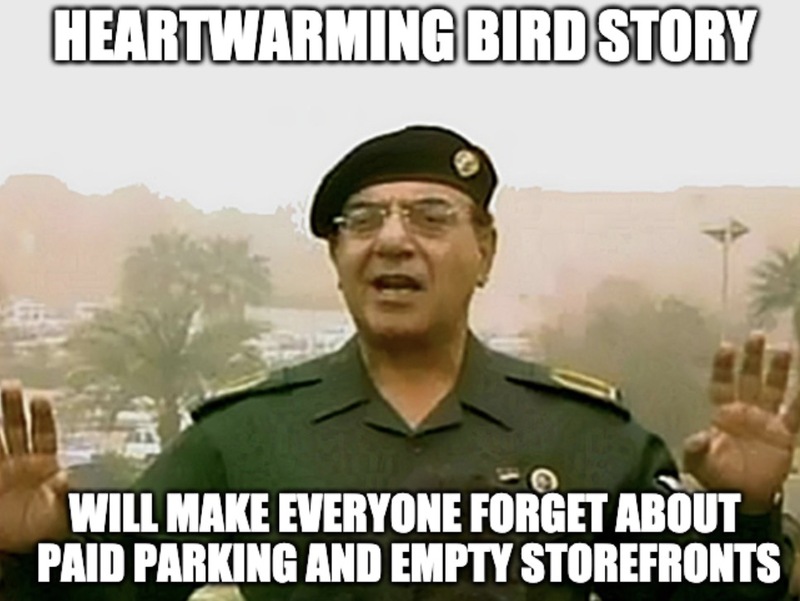 It's not like the clouds magically parted and suddenly Tall Oaks was un-razed and the golf courses were unthreatened and traffic was unjammed and the Leaky Lake House was unpurchased and there were ponies and bridges and infrastructure for all. 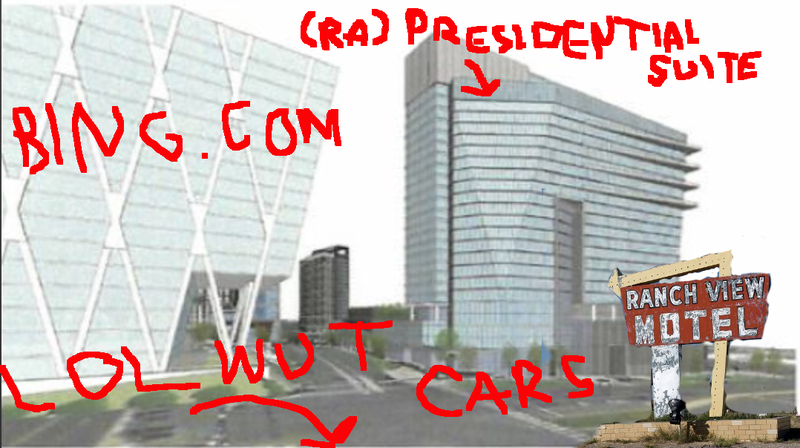 There's lots on Reston's plate, and strong RA leadership can only help. At least the race for the Hunter Mill seat on the Fairfax County Board of Supervisors is shaping up to be something of a contest, with four contenders to date for the seat being vacated by Cathy Hudgins, who is retiring later this year. They are Walter Acorn, Laurie Dodd, Shyamali Hauth, and Parker Messick, and two three forums have already been planned to hear what they stand for ahead of the June 11 Democratic primary which will essentially coronate the ultimate winner of the seat -- one on April 16 at Sunset Hills Montessori School sponsored by Herndon/Reston Indivisible, another on April 23 at the Jo Ann Rose Gallery in Lake Anne, sponsored by the Reston Citizens Association, and one on April 29 at the Reston Community Center sponsored by Fairfax Democrats. 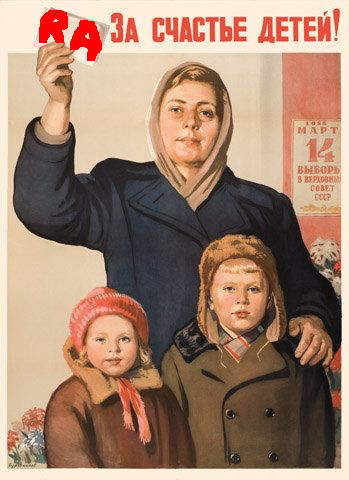 But vote in the RA election anyway -- or else, in really Soviet style, we'll have to do it all over again because of bylaws requiring a 10 percent quorum for even uncontested elections. As of March 22, returned ballots were over the 10 percent cutoff for the North Point seat, but in the 8-9 percent range for the remaining seats. We'd rather our RA dues go to pretty much anything else, so vote early and often, the end. Update: Quorum attained. Catherine Baum is the RA's new president, if you're keeping score at home. 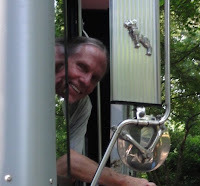 Longtime Reston Trash Service owner/operator John Hasle, who retired in 2015 for health reasons after four decades of serving neighborhoods in South Reston, passed away last week, according to family members. Reston Trash was one of the last truly mom and pop businesses serving Reston, and customers and well-wishers raised nearly $6,000 to help with his medical expenses. “He was one in a million,” CRO “Elizabeth” writes, and we agree. 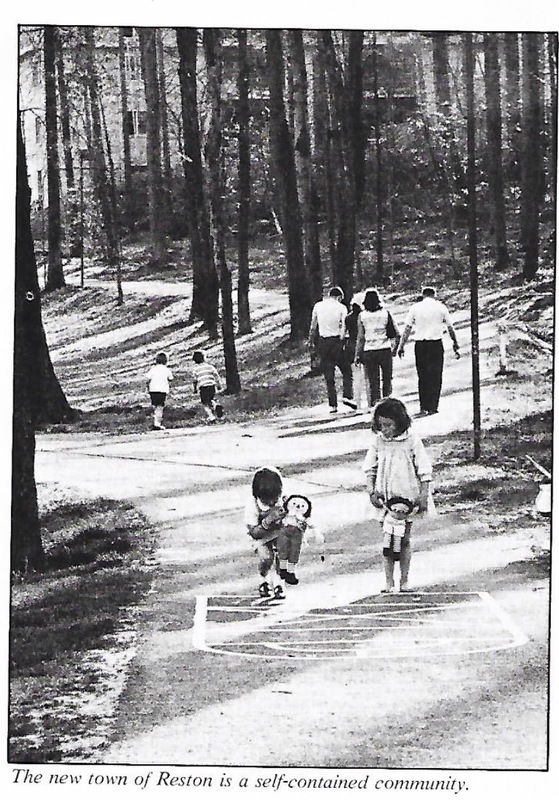 Flashback Monday: An Old School Newcomers Guide For Reston, Complete With Ski Slope. Wait, What? Not according to Fairfax County it isn't! Set the controls of the Earth Toned Wayback Machine to 1975, when Reston was a well-established Fairfax County community, considered a desirable place to live. 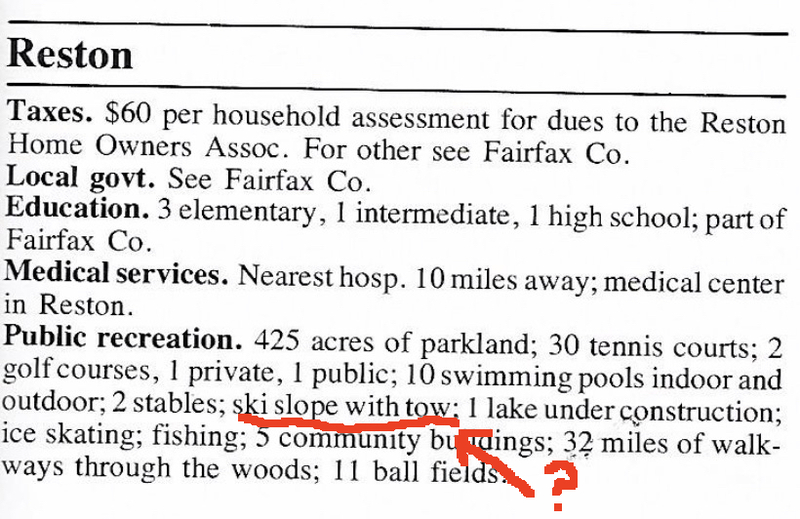 But according to a fancypants "newcomers guide," which was kind of like a printout of Nextdoor entries without the ads for $10 sofas and panicked messages about kids ringing doorbells, Reston also had a full-service ski slope. Wait, what? Whilst recently rummaging through the packrattery in his packratorium, The Peasant stumbled across a long-forgotten “Newcomer’s Guide to Metropolitan Washington” that he received when first going over to the dark side as a member of the Deep State decades ago. 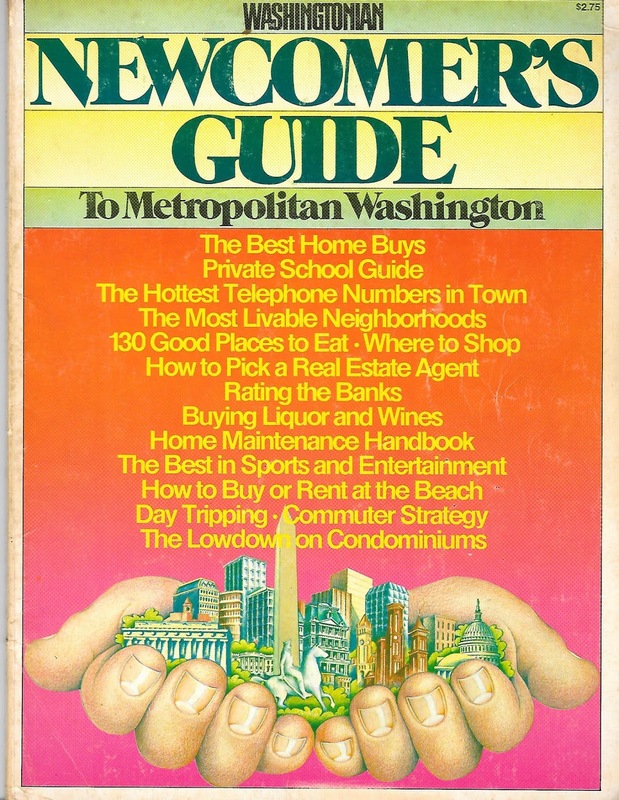 Published in 1975 by Washingtonian Magazine, the guide helped newbies navigate the Capital Region, aka the swamp, with scads of practical information. 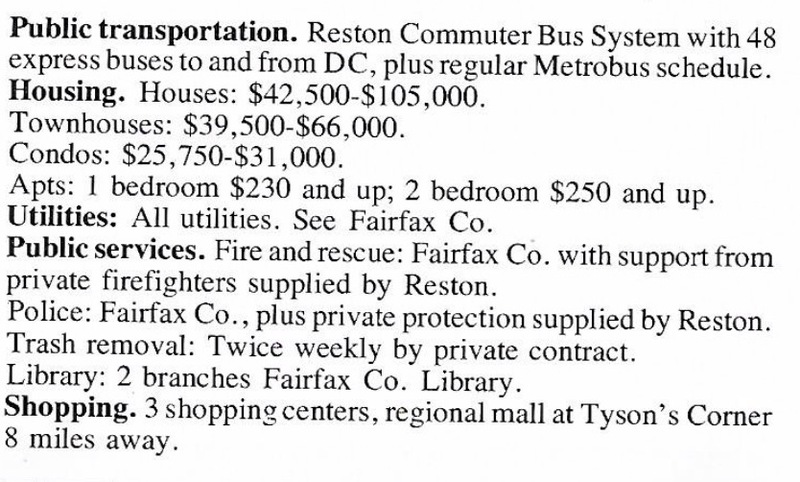 Further on, in the list of community specific profiles, we engage the Wayback Machine to learn that in the halcyon (if tasteless) days of the mid-1970s, the “Reston Homeowners Association” assessment was $60 per year, 48 express buses ran to and from Washington, monthly rent for a one-bedroom apartment was $230 and up, and single family houses ranged in price from $42,500 to $105,000. One puzzle: fire and rescue comes from Fairfax County “with support from private firefighters supplied by Reston”. We wonder whether those private firefighters used tastefully taupe toned engines. How little they knew about the gravitational pull of three-sided-brick facades and X-rated parks, the end. 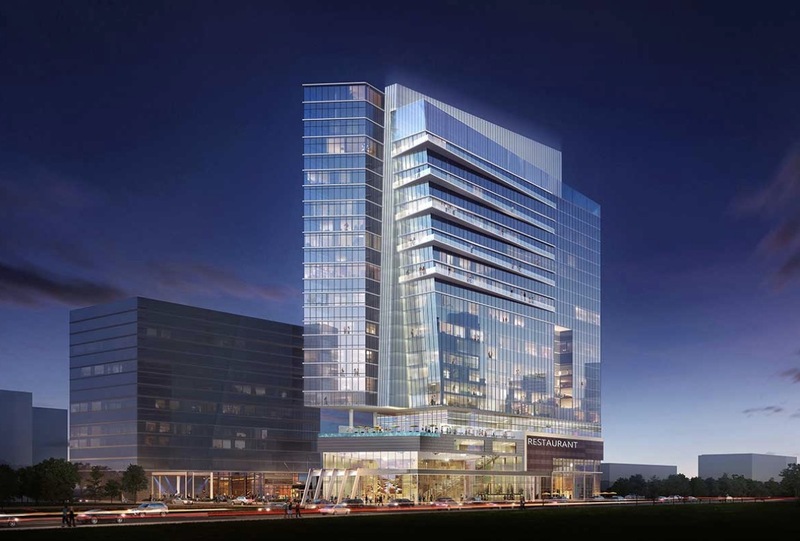 Comstock Holdings Cos. Inc. has closed a franchise agreement with Marriott International Inc. (NASDAQ: MAR) to bring a Renaissance hotel to Reston Station. The 250-key Renaissance Reston Station will be a part of Reston Station Promenade, an extension of the original Reston Station project that sits atop the Wiehle-Reston East Metro. The hotel building, to be topped by 80 luxury condominium units, is expected to deliver in 2022 on a site bounded by Reston Station Boulevard, Wiehle Avenue and Sunset Hills Road. It is being designed by Nunzio Marc DeSantis Architects. “It fulfills a requirement that we’ve heard from our current and future office tenants, and our neighbors such as General Dynamics, and fills a need in the community for additional, quality hotel, events and meeting space,” Christopher Clemente, Comstock CEO, said in a statement. According to Comstock, this will be the first full-service hotel to deliver in Reston since 2008. The property, to be managed by Crescent Hotels & Resorts Management Co., will include ballroom space and meeting rooms. It's an exciting time at Reston Station, what with a quick DuckDuckGo search confirming that Google is, as long anticipated but until now only officially hinted at through subtle neon clues, moving to the Ur-Polygon across the street from the planned hotel. What's interesting (or "interesting") is that the hotel won't be piled atop the aforementioned Founding Farmers, as originally planned. Instead, it will be across the street in the woonerfy 1.35 million square foot Promenade at Reston Station development. But never fear, silly rabbits, we're ultimately getting not one, but two fancypants hotels! Apparently, the Renaissance is the "luxury hotel," and the second hotel will be a "boutique extended stay" kind of joint, "the first of its kind on the Silver Line" with "all the luxuries and conveniences of home." In lieu of an onsite casino, hotel patrons will be invited to attempt to cross Wiehle Avenue against the light. So book now! We'll leave the woonerf on for you. If this motion is made and passed, the Amendment essentially will be killed, but we cannot be sure at this time. This motion is expected to occur during the Board Matters portion of the meeting, usually late morning. All meetings are televised on Channel 16, streamed live online and available to view on demand following the meeting. CPR will communicate with the community about the final status of the zoning amendment as soon as the Board of Supervisors votes on the motion to defer. If things go as we hope, the community can cancel their plans to attend the Public Hearing. 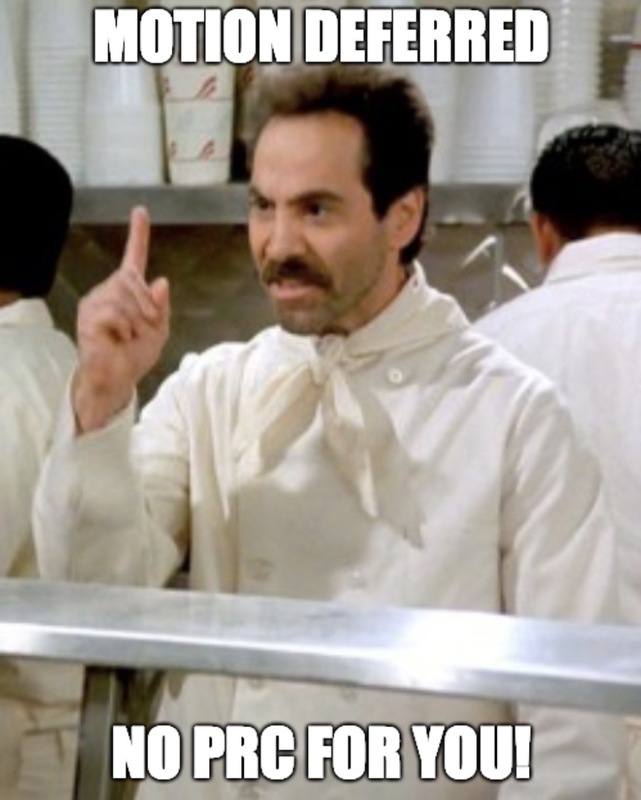 The proposal, which would allow denser development beyond Reston's Metro stations, was recommended for denial by the Fairfax County Planning Commission a few weeks back, and Fairfax County Chair Sharon Bulova said she planned to support that recommendation. If the proposal is actually tabled as expected, this would represent a dramatic shift from the county's approach to the process to date, which has been characterized by limited public input, vague threats of eliminating Reston's entire unique zoning designation, barely concealed frustration about questions being asked, and accusations of NIMBYism. So good on them! Next steps would presumably follow the planning commission's recommendations: Having staff develop an actual amendment to the comprehensive plan and "establish a task force with representatives from the community and industry to work on recommending a plan amendment to the board and planning commission." We'd humbly argue that the order of those two steps should probably be flipped, but that's probably just being "rude." 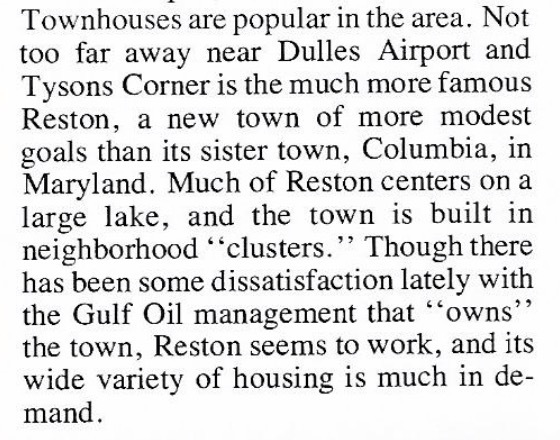 No one is suggesting that growth will stop -- or that a moratorium on growth would be good for Reston in the long run. But hopefully this pause will result in better planning and better relationships between our plastic fantastic planned community and county officials. 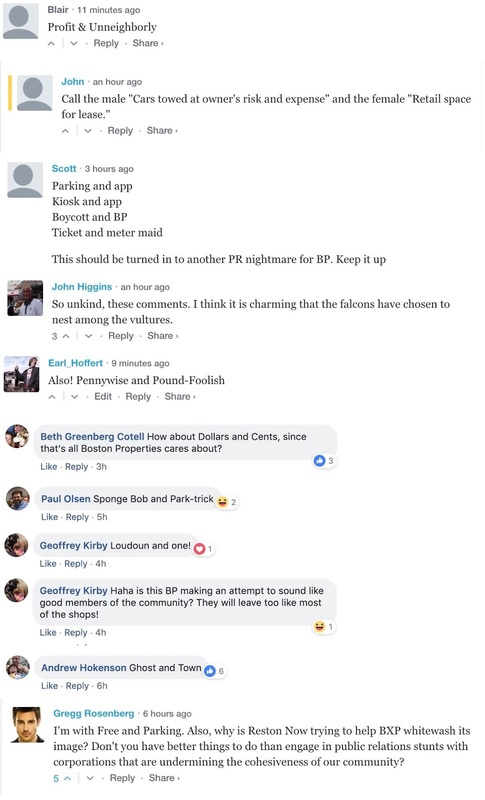 And let the record show that Hudgins, who has been reviled in comment boards for her stance on this and other Reston development-related issues, may have taken the first step in that direction. It's official - Supervisor Hudgins just deferred indefinitely the PRC Zoning Density Amendment. No need to go to the Government Center this afternoon/evening. Good news! While at it, she mentioned again there is NO DENSITY on Reston's #golf courses. The Fairfax County Board of Supervisors unanimously approved Hunter Mill District Supervisor Cathy Hudgins’ motion to “indefinitely defer” the consideration of a proposed zoning amendment. Hudgins also said that misinformation has plagued the push to update the zoning ordinance and thanked the staff for their work educating the community. “I had hoped that we could have found a way to provide the necessary zoning tool to implement the adopted Reston Plan,” Hudgins said. Hudgins said that she will work with staff and community representatives to outline a process and timeframe to reexamine the plan for the village centers before reconsidering the PRC amendment — the Planning Commission’s suggested solution. Chairman Sharon Bulova told Hudgins that she understands the PRC amendment has been difficult for her and the Reston community. “This is not easy, and I know that folks have asked for the opportunity to maybe step back and try to revisit the process that will allow things to move forward in a way that has more community engagement and more community support for a path forward,” she said. At 12:02 PM, March 5, 2019, the Fairfax County Board of Supervisors approved unanimously a motion by Supervisor Cathy Hudgins to postpone indefinitely consideration of her proposal to increase the authorized density in Reston’s PRC zoned areas from 13 to 15 people per acre. The Board’s vote ends a 22-month saga (starting May 3, 2017) in which the Supervisor Hudgins, county staff, and Reston organizations worked to understand the implications of the proposed amendment for Reston and reasons for its alleged necessity. Throughout the time frame, it became increasingly obvious that the people of Reston, all directly affected by the proposed amendment, broadly opposed adoption of the zoning amendment. This opposition peaked at a community meeting arranged by Supervisor Hudgins in October 2017 at South Lakes High School attended by more than 900 Restonians. More than 100 people stood to comment in opposition to the proposal. Follow-up small group discussions in 2018 between community representatives and county staff failed to close the gaps in justifying the zoning proposal. In fact, county staff failed to answer questions laid out by community representatives until a week before Supervisor Hudgins was scheduled to propose the advertisement of the zoning amendment proposal. The answers were pro forma and failed to add significant information to that which was already known. Nonetheless, and despite her commitment to the contrary in the absence of substantive responses to the community’s concerns, Supervisor Hudgins moved forward with her proposal to advertise the PRC zoning ordinance amendment proposal—the first legislative step in approving zoning ordinance amendment—on December 4, 2018. Thereafter, with the widespread participation of Restonians, community representatives from the Coalition for a Planned Reston (CPR) and Reston Association (RA) pressed hard to inform the community, the Planning Commission, and members of the Board of Supervisors of the issues with the proposed zoning amendment. Hundreds of Restonians wearing yellow shirts showed up at the Planning Commission hearing and more than a dozen testified in opposition to the proposed amendment. In its decision, the Planning Commission recommended against adoption of the zoning ordinance amendment and called for a revamped Reston Master Plan tied concurrently to a new zoning ordinance approval. As a result, Supervisor Hudgins decided to request that the Board of Supervisors defer indefinitely its consideration of the PRC zoning ordinance amendment. Her motion to do so was passed unanimously by the Board on March 5, 2019. It is not clear when the county will follow through on the Planning Commission’s recommendations, but it is not likely to occur until next year when a new Board of Supervisors is in place. We commend--and thank--all Restonians who participated in any way in stopping this ill-considered zoning amendment. 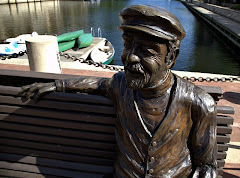 It was absolutely essential to the preservation of Reston as a planned community. While we have achieved a major victory in sustaining the vision laid out by Reston’s founder, Robert E. Simon, our reward will be to have to tackle the planning and zoning issue once again after the decade of effort that got us here. We will continue to keep the community advised of the planning and zoning issues in Reston as they arise.